The people who orbit around Renn Ivins, an actor of Harrison Ford-like stature—his girlfriends, his children, his ex-wives, his colleagues in the film industry—long to experience the glow of his flame. Anna and Will are Renn’s grown children, struggling to be authentic versions of themselves in a world where they are seen as less-important extensions of their father. They are both drawn to and repelled by the man who overshadows every part of them. 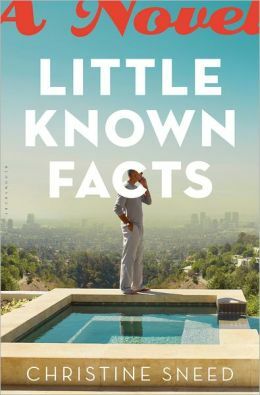 From Los Angeles Times Book Prize finalist Christine Sneed comes the debut novel LITTLE KNOWN FACTS (Bloomsbury / February 12, 2013 / $25, hardcover), which peels back the layers of fame, family, and identity surrounding a charismatic Hollywood star. With each chapter from the point of view a different person caught in Renn’s web of celebrity, Sneed shows us the man in full and the effects of fame on the people to whom he is closest. Will, in his late twenties, is unmoored, has never had a real job. Anna is an earnest and hardworking medical intern who eventually falls for a married man of her father’s age. The first Mrs. Ivins can’t seem to keep a relationship going in the years since her marriage fell apart because no man can stand in Renn’s shadow. The second Mrs. Ivins has just published an expose titled This Isn’t Gold. Most of us can imagine the perks of celebrity, but Little Known Facts offers a clear-eyed story of its effects—the fallout of fame and fortune on family members and others who can neither fully embrace nor ignore the superstar in their midst. With Little Known Facts Christine Sneed emerges as one of the most insightful chroniclers of our celebrity-obsessed age, telling a story of influence and affluence, of forging identity and happiness and a moral compass. Book reviews and Q&A’s with Sneed have been popping up everywhere from the Tin House blog to Time Out Chicago. You can read them all at www.christinesneed.com. Women and Children First bookstore, located at 5233 N. Clark Street, will be hosting a release party for Little Known Facts tonight, Thursday February 21st, from 7:00 to 8:00 p.m.
Sneed will also be reading from Little Known Facts on DePaul’s campus on Wednesday, March 13th as a part of the DePaul Humanities Center’s New Voices in the Humanities series. Join her at 5:30 p.m. in the DePaul Student Center room 314 for a reception; the reading begins at 6:00 p.m. More information and a flyer to come! If you’ve been diligently reading the faculty news bits in Ex Libris this quarter, you’ve probably noticed Christine Sneed’s name come up more than once. Which is why when we r eceived yet another exciting piece of news about her award-winning first book, we decided it was high time to turn the Ex Libris spotlight on our very own Prof. Christine Sneed. But you don’t just have to take Ploughshares‘ word for it. 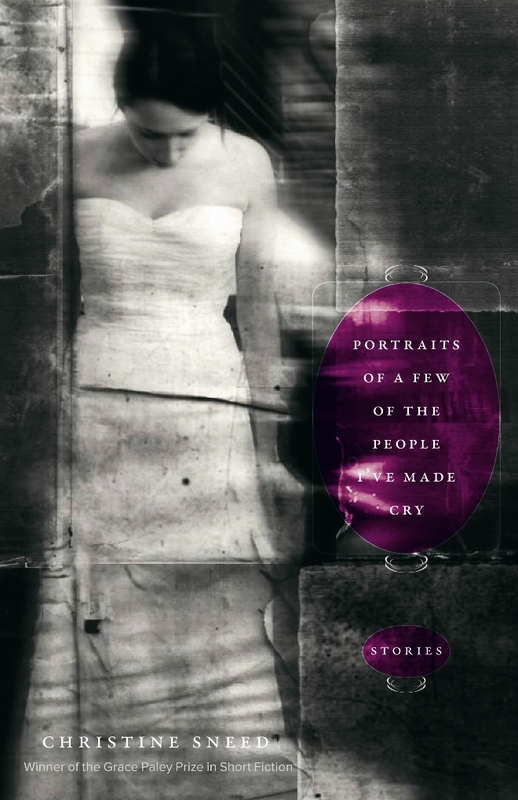 In 2009 Portraits was awarded the Grace Paley Prize in Short Fiction from the Association of Writers & Writing Programs (AWP) Awards Series. 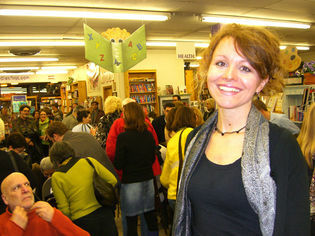 It also received a starred review in Publishers Weekly, was long-listed for the Frank O’Connor International Short Story Award, was nominated for the Los Angeles Times Book Prize in the “first fiction” category, and was named one of the “Seven best books of 2010” by Time Out Chicago book editor Jonathan Messinger. Another story of Sneed’s, “The First Wife,” was chosen for the 2012 PEN/O. Henry Prize Stories anthology, set for publication in April 2012. The story was originally published in the Winter 2011 issue of New Eng land Review. What’s next for Christine Sneed? Well for one, she will be teaching Eng 492: “Writing Fiction” at DePaul during the Winter quarter. But in even more exciting news, Bloomsbury Press recently acquired her novel-in-stories, Little Known Facts, which tells the story of a Hollywood actor and his family. Publication is set for Spring of 2013. You can learn more about Christine Sneed at christinesneed.com, and if you see her around the English Department, make sure to congratulate her on her many awards and achievements!